Glacier on Kenai Peninsula, Alaska, shows the thick mass of ice and snow, which calves off (breaks and falls) into the ocean as it constantly moves downslope. 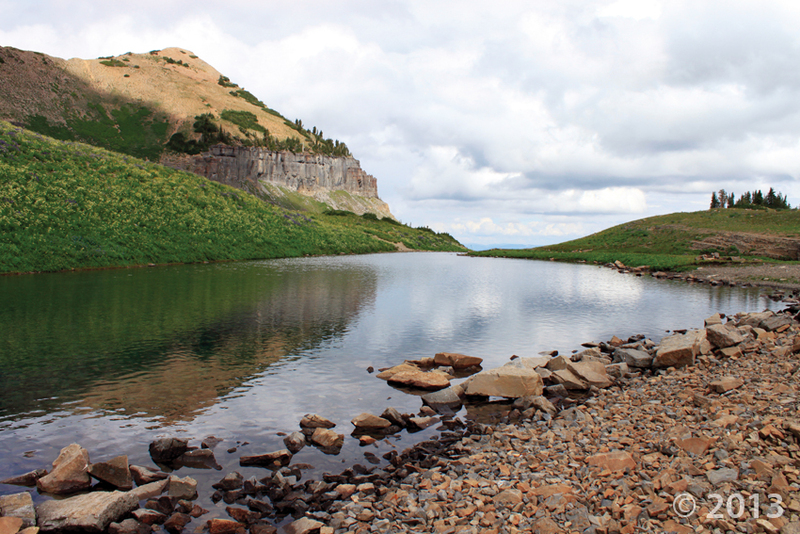 The glaciers in Utah disappeared thousands of years ago. 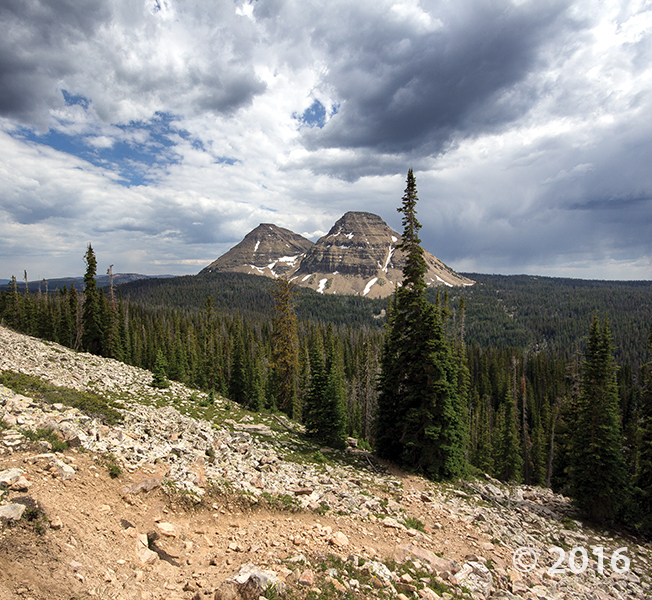 Patches of snow sometimes persist throughout most, if not all, of the year in Utah’s areas of high elevation, such as on the east side of Mt. Timpanogos in Utah County. 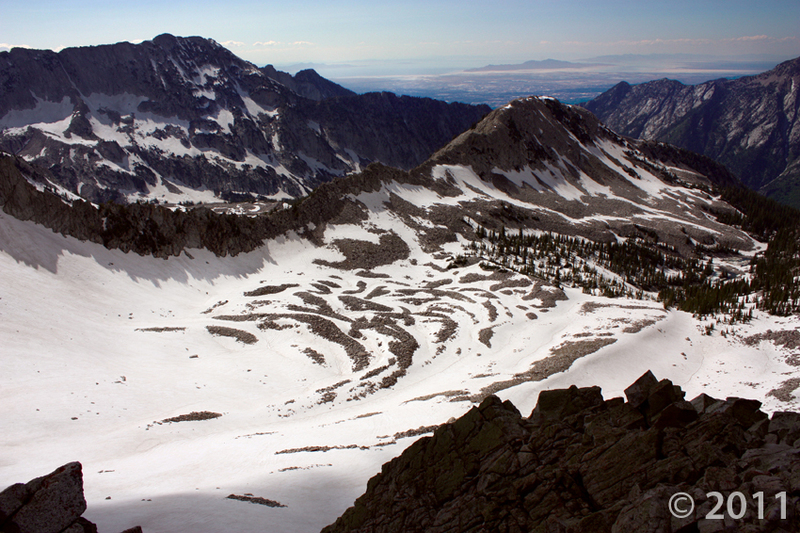 These patches of snow, often called snowfields, are not glaciers. Although we may currently be living in a time period called an ice age (albeit a warm interval within this time period)*, the glaciers in Utah disappeared thousands of years ago. A glacier is a moving mass of ice and snow. When enough snow layers accumulate, the lower layers compact and recrystallize into ice. The heavy mass then slowly moves downslope by the force of gravity. 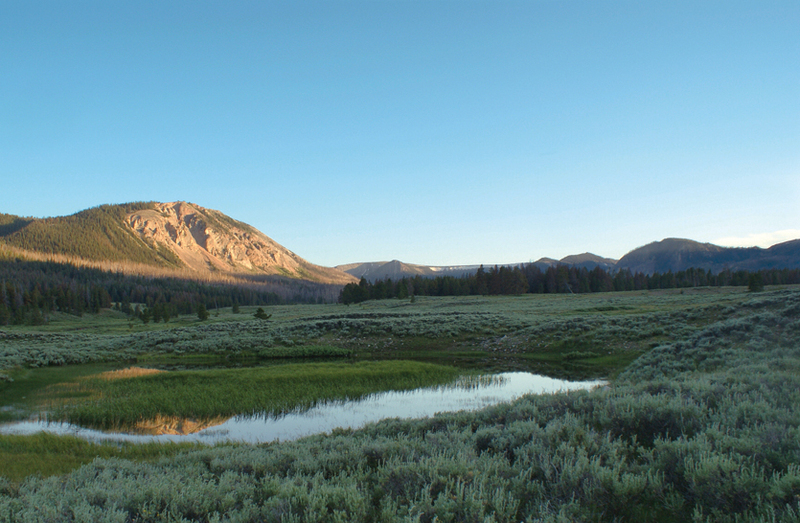 The thick (for example, over 1,000 feet thick in some of Utah’s mountain ranges) mass persists from year to year. Snowfields, in contrast, do not move. Typically, the snow is not very deep either (for example, only several feet thick on parts of the Mt. 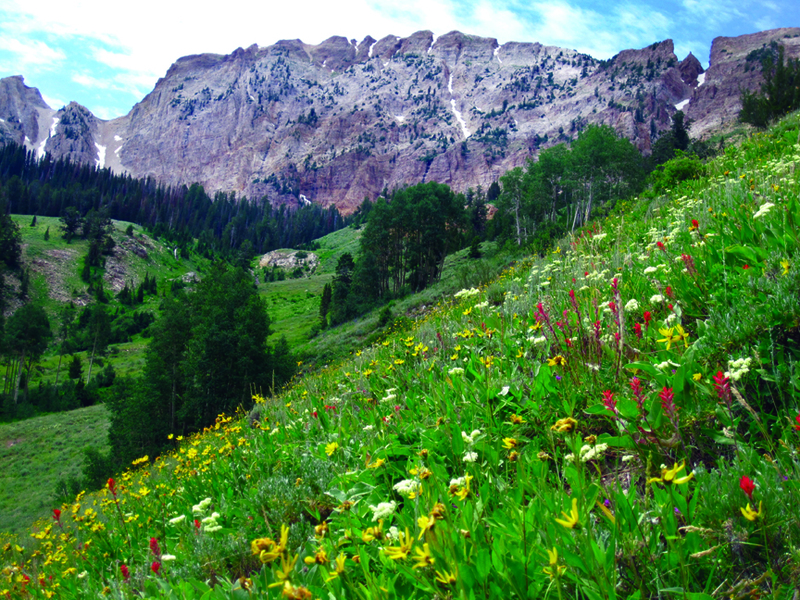 Timpanogos snowfield). Sometimes, the snow may even completely melt out during the peak of high summer temperatures. 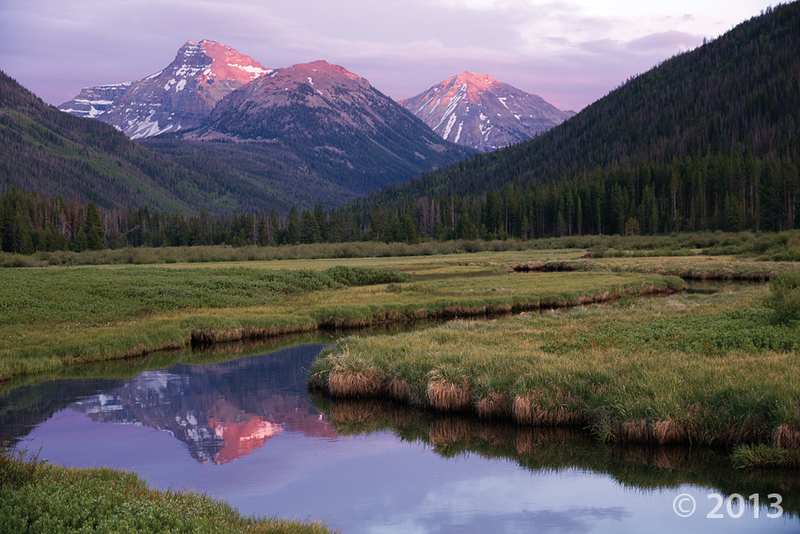 Glaciers have covered mountain ranges and high plateaus in Utah at various times in the past; the most recent glacial episode was approximately 30,000 to 10,000 years ago. At that time, the climate was colder (how much colder is up for debate, but some estimates are as much as 45° to 60°F colder) and wetter (again, up for debate, but possibly as much as 33 percent more precipitation). Great depths of snow accumulated, especially in basins over 10,000 feet in elevation, where glaciers would form. These great masses of ice eventually extended downslope to elevations as low as 5,000 feet in some areas. 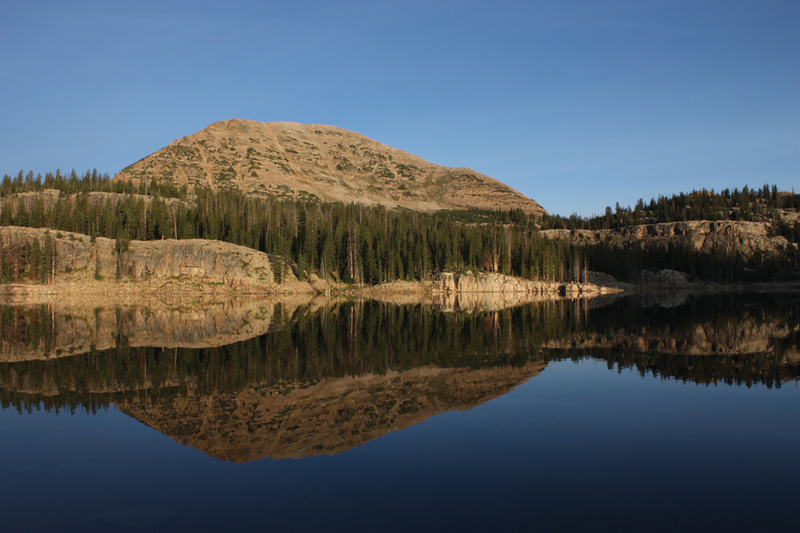 The Uinta Mountains claim the largest ice coverage at about 1,000 square miles, with some glaciers as long as 27 miles. 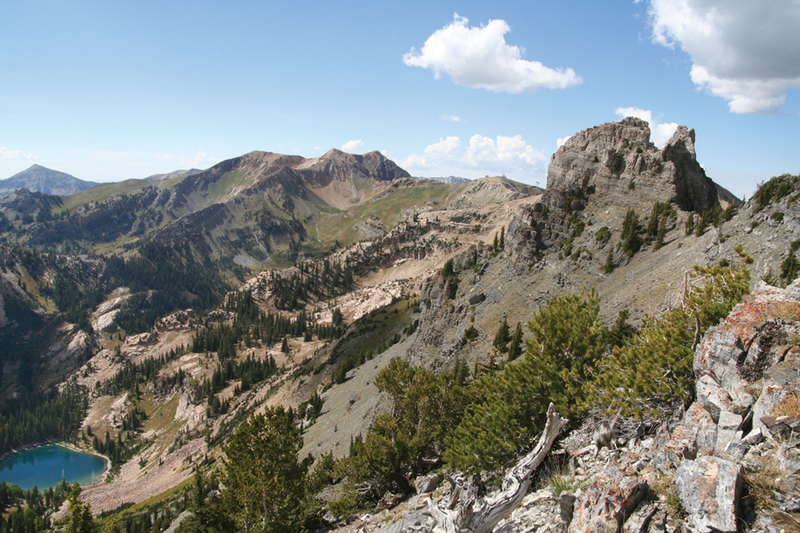 The Wasatch Range was the next-largest glaciated area with over 60 glaciers, some descending as low as 5,000 feet in elevation. 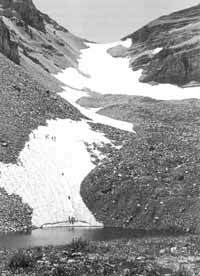 Another major glaciated area was over 50 square miles on the Aquarius Plateau. 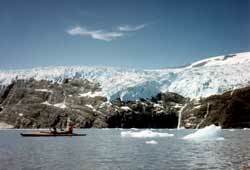 Glaciers retreated and advanced in response to climate fluctuations. The most recent warming trend caused the last glaciers to melt out of Utah’s uppermost reaches about 8,000 to 7,000 years ago. *An ice age is a long time interval (millions to tens of millions of years) when air temperatures are relatively cold and large areas of the Earth are covered by glaciers, both in the mountains (alpine or valley glaciers) and over continents (continental glaciers). The current ice age began between 2 and 3 million years ago. Because air temperatures fluctuate over the millions of years of an ice age, there are relatively colder times (glacial periods) and relatively warmer times (interglacial periods). Therefore, glaciers go through various stages of advancing and retreating and/or appearing and disappearing. The most recent glacial period probably peaked about 18,000 to 20,000 years ago. The climate has continued to more or less warm ever since, and we are probably now in a warm (interglacial) period within this ice age.